In Ella's Element: I'M GOING TO TOKYO! If you follow me on Twitter or Instagram then you'll know this already but I'M GOING TO TOKYO!! And if you've known me for any length of time you'll know that it's been my dream since I was little to go to Japan. I am unbelievably excited and grateful that this is happening. Dan and I will be going for a week at the end of May (don't worry as I live with my parents my house is not going to be empty so I feel safe announcing this) and as I share everything with you guys I wanted to let you know. We are just sticking to Tokyo as we only have a week so I wanted to really explore the city rather than travelling to other bits of Japan and not having enough time to actually enjoy those places. Dan is the most amazing person ever and waited up for midnight in order to get us tickets to the Studio Ghibli Museum, which he did!! Tickets are very hard to get hold of so I am so happy and grateful for Dan for getting them for us. So this is just a quick post to give you this amazing update, you can sure that there will be A LOT of Tokyo related posts when I come back so look forward to those. If you have been to Tokyo and you have any recommendations of what Dan and I should get up to please leave me a comment I'd love to know your thoughts! Sorry that this is just a short and sweet post but like I said I really wanted to let you guys know! And let the countdown begin!!! Can you tell that I'm a tad excited? I hope you enjoyed reading this post. 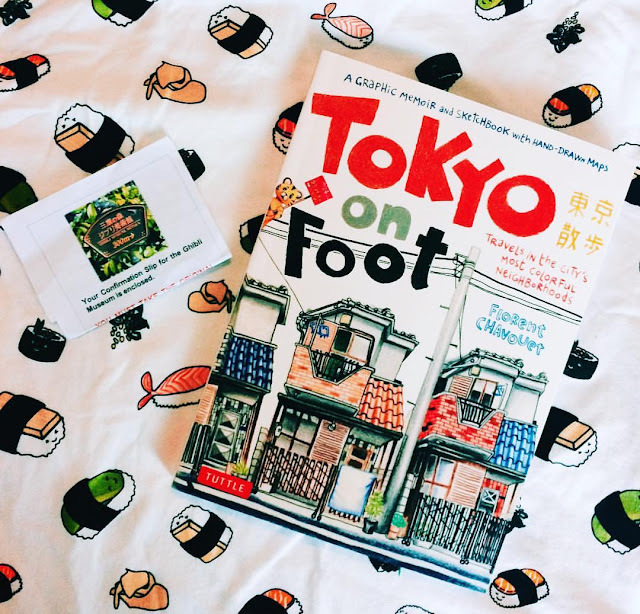 Have you ever been to Tokyo or anywhere in Japan? What are your recommendation? Fingers crossed you get to go! Thank you lovely! You're living my dream come true. Aw thank you so much! Thanks for stopping by!